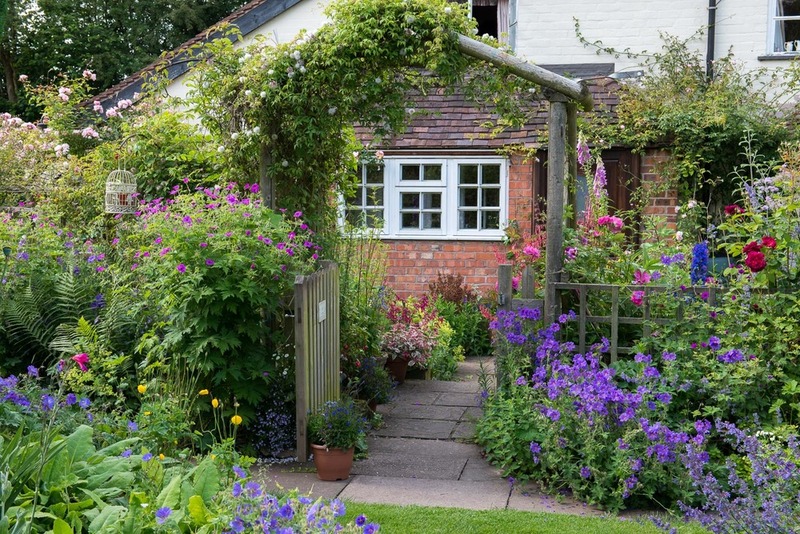 Sitting on a Worcestershire hilltop, Highfield Cottage's borders are filled with the scents and colours of flowers grown in English cottage gardens for centuries. Behind high hedges, that protect from the winds, an abundance of roses bloom, here against a backdrop of birdsong, and softly buzzing bees. 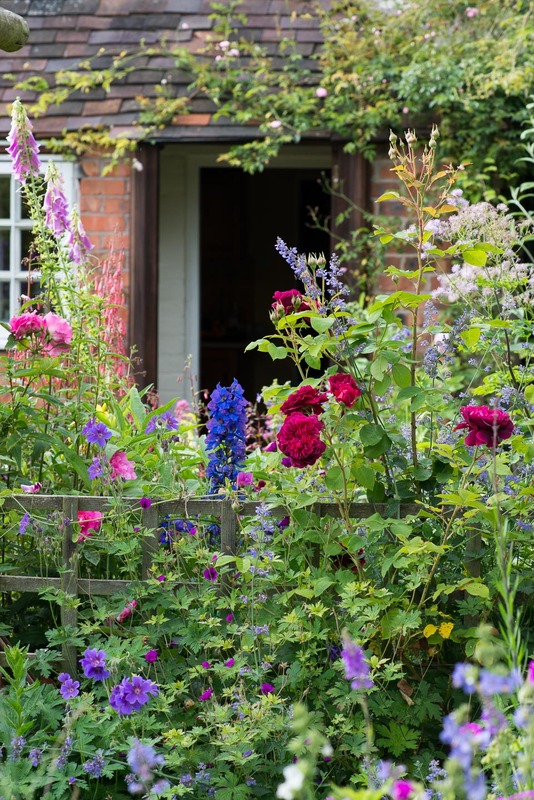 They scramble over trellis, sheds and rustic arches framing views of billowing borders filled with fragrant flowers. Owner Valerie Mills moved here 40 years ago with her husband David and two daughters.Then the plot was open to the countryside and was completely over grown. 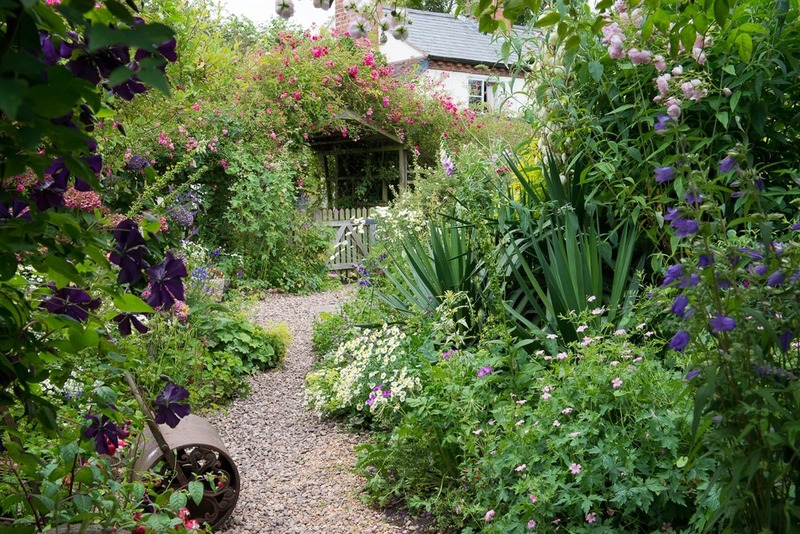 Today it is a beautiful garden where paths meander past clematis, foxgloves, lavender and campanula to name but a few of the beautiful plants that flourish here. Majestic delphiniums line up, tall and stately. Around their tall blue spies, other colours flow freely in every direction. 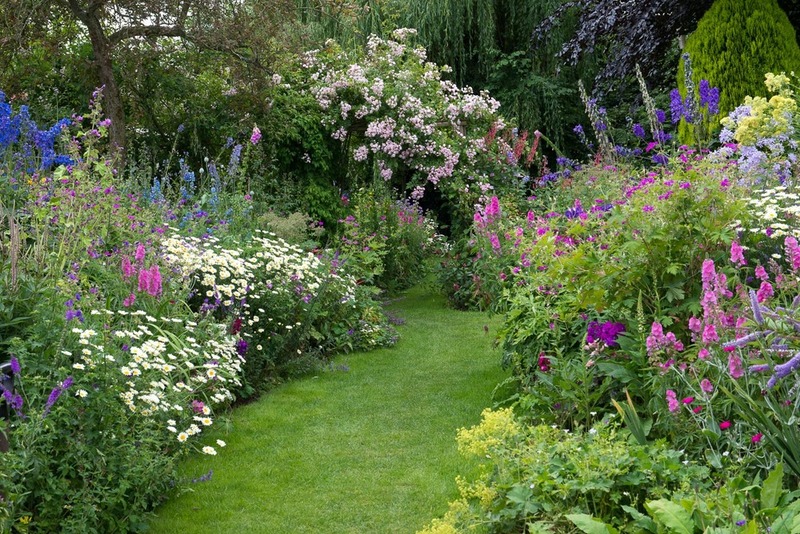 The main border is mainly creams, pinks, whites, blues and purples. Many of the plants are allowed to self-seed, such as Verbena bonariensis and aquilegias. As well as allowing plants to self-esteem Valerie exchanges plants with other keen gardeners. One of the first she got this was was hardy Geranium x magnificum, with pretty blue flowers. This was joined by Geranium psilostemon, a rampant perennial with shocking-pink flowers. Valerie describes her geraniums as the glue that holds the borders together. The full feature on Highfield Cottage appeared in the May / June 2016 issue of LandScape.